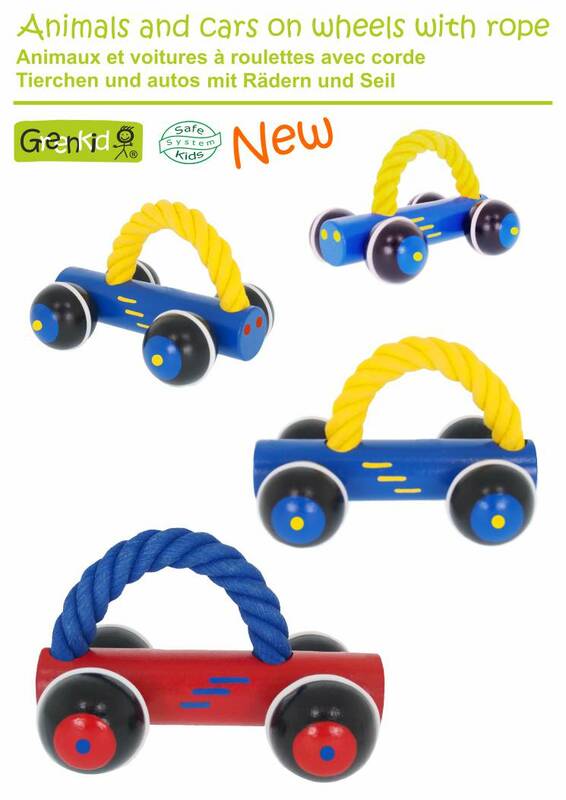 Wooden cars on wheels with a hard-curved rope are very practical and functional toys. They are intended for children aged one year and more. The grip of the rope is ideally suited for a child’s hand. The toy has an excellent stability. Massive wheels are connected with a strong axes. These features allow children to lean on the toy with their full weight. The wheels are fitted with silicone rings, which makes the toys silent even on hard surfaces. The wheels are mounted eccentrically for a smooth up and down movement that makes the play more fun.